Because guess what? In 2016 the Bureau of Labor and Statistics (BLS) said that there were over 131,000 writers and authors in the U.S. Which is pretty awesome, because that means there are a lot of people who are writing as a career. But with all of those writers out there, it’s important to be able to stand out so that you can be the person who editors and companies want to employ. This should be a given. However, when you first start out, you might not realize that freelance writing is a career because you haven’t made it one yet. But even if you’re just dipping your toes into the pool, act professionally, because you’re applying with people who do take this career very seriously. And, they’ll be professional in their interactions with potential employers. So, even if you’re just starting out, be professional in the way you apply, follow up, and complete the tasks related to your freelance assignments. This is important in any career, and is actually related to professionalism: freelance writers who are organized are more able to be professional in their interactions. We’re less likely to miss deadlines, more able to follow up appropriately, and we don’t bug our editors and employers unnecessarily. We also save ourselves stress when we’re organized. I always kick myself when I have to track down information again or when my lack of organization is slowing me down. Being polite in your interactions goes a long way. Remember that the person who has hired you (or maybe hiring you), has a lot of responsibilities. They might be managing dozens (or more) freelancers, along with their other tasks. They have no time for us to be rude or annoying. I know that we want replies to our pitches, and I know it’s frustrating when we don’t hear back. But, we don’t want to burn any bridges with our interactions, and we need to remember that we are replaceable. If an editor feels we’re disrespectful, they’ll move on to another writer. Have a Twitter account? A Facebook page? A potential employer can learn a lot about you by visiting those profiles. Think they don’t look at them? Not always, but some will. And you don’t want to lose work because of your online presence. For example, if you’re swearing on your accounts, then a conservative mag may not hire you (even if your resume and clips show you’ve written similar content in the past). Keep your personal profiles locked down and make sure that your professional accounts represent you in a professional way. Here’s the thing: we don’t always get clear information from clients. Or, they give information that seems to make sense, but once we start researching for the assignment, it gets a bit confusing. For example, I once was hired to write a listicle of TED talks on a specific subject by experts in a certain field. But, as I started researching, I realized there were TED talks on the specific subject and only a few were by experts in the given field. It was going to be impossible to find the number of TED talks the editor was looking for without adjusting something. So, I reached out and clarified. But I did my homework first and made sure to check in with enough time to still complete the assignment. If you’re just starting out, your writing resume may be bare and you’ll have slim pickings for clips. That’s okay, but you might not get the job. However, as time goes on, and you have more options for what to share, be sure to let the client know about the newer work you’ve done. We know people who have gotten hired later when their clips are more relevant to the job listing. This is important. It’s too easy to talk yourself out of applying for a job. After all, there are over a hundred thousand other writers out there. They’re not all applying for the same positions. There are TONS of writing opportunities out there (Have you checked out the listings on Contena lately?). Not to mention that you can pitch to companies as well, so you might be the only one “applying” for a job. Don’t let fear or lack of confidence hold you back. If you’ve been writing for a while, you may stand out with great bylines and regular work that you can showcase. However, when you’re starting out, it can be hard to stand out from the crowd. However, don’t just look at your writing experience. For example, I have a unique educational and professional background that helps me stand out when I apply for jobs. Last year, I secured four regular writing jobs because of this angle that’s unique to me, and in the first two weeks of 2018, I’ve been hired for one more regular position because of my educational background. (No, I’m not the only person doing this type of work, but there seem to be very few who have the same professional background who are also freelance writers. This certainly doesn’t get me every job I apply for, but I know it helped grow my business last year and will continue to help me stand out). So, think about what makes you unique. Maybe you lived in another country and could write for companies who cater to that demographic; perhaps you work in tech- use that to your advantage and share that information when you apply. Again, when you’re starting out, this may feel hard if you haven’t been published much (or at all) yet. Here’s my advice: people do want to see samples, and while certain publications will certainly stand out (WashPo, anyone? ), you can also publish on platforms such as Medium and HuffPo. You can also find blogs to guest post on and write for free. This is a great way to have clips to send that are in the niche you are applying in. And, if you’re going the route of doing some guest blogging (for free), be sure to do your best work if you’re going to submit these for consideration when you apply for freelance writing jobs. When it comes to being a freelancer, those are some of our best tips for making money as a writer. But, we also have some thoughts on what you don’t want to do. Yes, sometimes we need to follow up, clarify, or ask questions. But don’t be obnoxious. A good rule of thumb is to wait a week before you follow up on a pitch (and remember to be courteous! ); this can be a good rule in all your correspondence. Of course, if the matter is urgent, you can follow up sooner, but try to anticipate things so that you don’t make something more urgent than it needs to be. Remember all those freelancers out there? Editors and employers may not continue to offer work to writers who bug them. Just don’t do it. And make sure you understand what plagiarizing actually is, especially in the age of digital writing. It may not be as clear as you think. This probably seems obvious, but I do hear of freelancers missing deadlines. Just don’t do it. Be organized, don’t procrastinate, and get your work done on time. In fact, I always try to get my work done early because you never know what can come up: illness, a new project, or a fun opportunity. To me, missing deadlines is not an option. I’m in a Facebook group where editors have talked about their writers just disappearing. The editors take the time to assign stories, agree to payment, and they even follow-up about deadlines, and these writers have just disappeared. I’ve heard this more than a few times. Those editors won’t hire those writers again, will probably share the names with other editors, and will find new writers to work with (because like we said, there are tons of us out there). If something comes up in life, reach out and communicate; don’t ghost anyone. When you’re given an assignment, with parameters (such as length, number of sources, tone, etc. )- follow that. Your employer will not be thrilled to get a piece (even if it’s well-written) that did not follow their guidelines. Remember, if something is confusing, or you have thoughts about a way the piece could be stronger, it could be appropriate to reach out during the writing process. But, don’t just change the assignment or ignore the information you’ve been given. Freelance writing is a career that takes time and energy, and it may be a slow process, but it can be done. There are over 131,000 people doing this as a career, remember! And, did we tell you that the BLS says the median pay in 2016 was just over $61K for writers?! That’s encouraging if you ask me. Now you know how to be a freelance writer people want to hire. Take our advice- follow these nine to do’s for freelance writers and avoid these last six. Join the ranks of over 130,000 writers with an amazing career as a freelance writer. 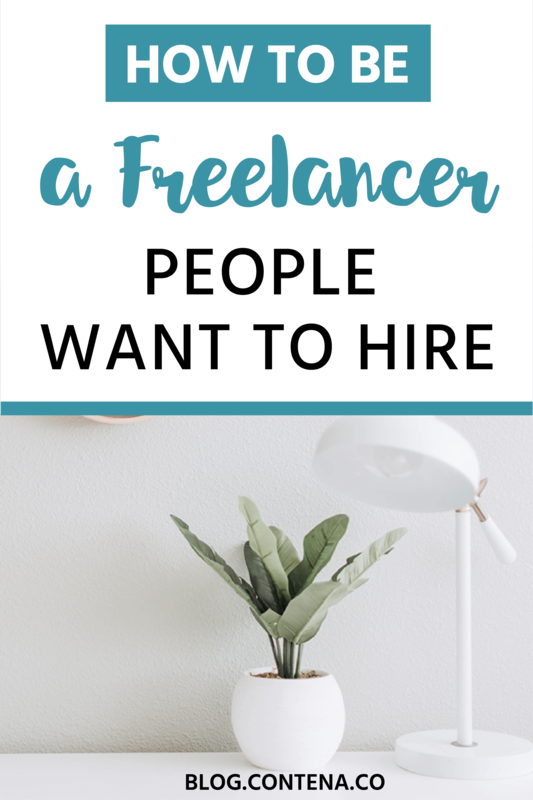 P.S.- If you’re still working on building your career, check out these awesome side-hustles for freelance writers.